17.53 x 14.53 x 7.50"
In this HP Officejet 4650 review we’ll be looking at the pros and cons of this wonderful little printer. HP Officejet 4650 Review – Why choose this printer? If you’re someone who is constantly working on a range of projects and who needs high functionality from their printer, then the HP OfficeJet 4650 is perfect for you. Not only is it a colour inkjet photo printer, but it can also scan, fax and copy. In addition, it can support a range of paper sizes from A4 and A5 right through to standard envelopes. You can wirelessley print from any device, anywhere through the free HP ePrint app for smartphone or tablet, the Air Print app for iPhone or iPads, or through Wireless Direct printing. Wireless Direct printing is great because it doesn’t require a network connection to work. 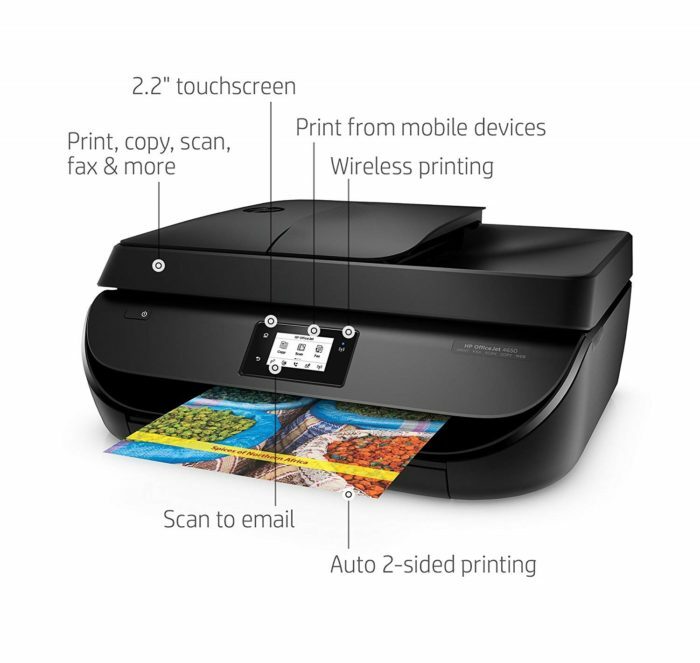 You simply enable the function on the printer, then select the printer on your smart device from the WiFi page. This creates a direct connection between the two devices that instantly allows you to print. The HP OfficeJet 4650 comes with a 2-sided printing option, which not only saves you paper but makes this the perfect device for printing pamphlets, small comic books, bound photo albums or any other media with pages. It also has an automatic document feeder which makes printing more than one page at a time much more efficient. 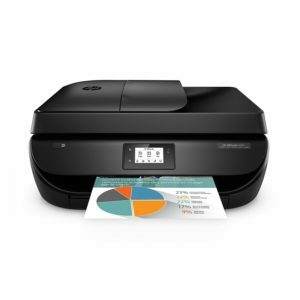 The HP OfficeJet 4650 is a great printer if you find you are constantly running out of ink, as it can be purchased as a cost effective bundled package with HP Instant Ink. HP Instant Ink is a cartridge replacement service. Once you have subscribed, your printer will send regular ink level reports back to HP. Once the ink gets low, new cartridges will be automatically sent to you. This is extremely useful if you print a lot but don’t have the time to constantly buy new cartridges. 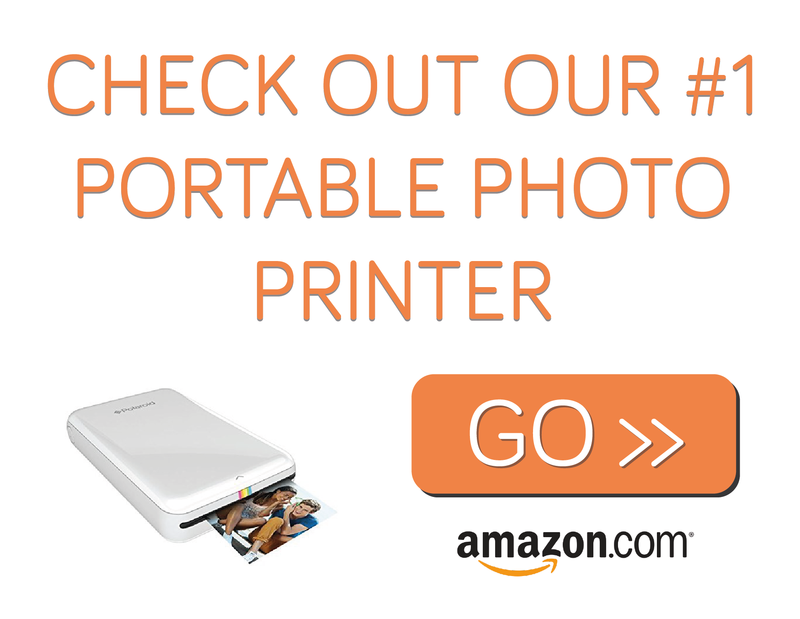 This printer is also relatively small and light, making it easy to keep in an office or studio and perfect for travel! What are some not so good points? Due to it’s small size, the HP OfficeJet 4650 has small ink cartridges, which means it runs out of ink quickly. In addition, the print time for a single colour photo can be up to 20 seconds. If you are someone who often prints a high volume of images, you may find this is not efficient enough for your needs. As with all technology, there can be some components of a device which will fail with age. In the case of the HP OfficeJet 4650, a faulty signal receptor means you will be unable to print wirelessley. Luckily, this printer has a work around – it has a Hi-Speed USB 2.0 port. Whilst this means you will still be able to print, you will not longer be able to do so wirelessley, as you will need to physically connect your device via cable to the printer. This cable also comes separately and at an additional cost. It’s time to wrap up our HP Officejet 4650 review. If you’re looking for a compact photo printer that gets the job done, then we highly recommend the HP OfficeJet 4650 Printer. It’s high functionality, low cost and wireless connectivity make it an excellent buy for every day printing.